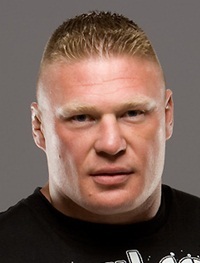 Brock Edward Lesnar is an American professional wrestler and former professional mixed martial artist. He had a keen interest in wrestling since his childhood. So, after graduating from college in 2000 Brock decided to pursue his career as a wrestler and for this, he signed a developmental contract with World Wrestling Federation (WWF). In 2002, Lesnar became competent to get his first appearance on WWF television in the episode of RAW. It was his devotion for wrestling that after three months of his debut on television he won the tournament of King of the Ring. But during 2003-2004 he left WWE because of some disputes and joined National Football League. In 2005, Lesnar returned to WWE and began his ultimate journey of success. Later on, Brock Lesnar gathered numerous victories in his overall wrestling career including four times WWE World Heavyweight Champion, IWGP Heavyweight Champion and Royal Rumble winner. Brock set up the record of winning WWE Championship at the age of 25 which make him the youngest WWE Champion ever. In addition to that, Brock also joined K-1’s mixed martial arts league called Hero’s in 2006 and became a UFC Heavyweight Champion later as well. Moreover, Lesnar is a media personality he was also on the cover page of Muscle & Fitness magazine in 2004. He had done several video games under WWE and UFC including WWE SmackDown! Here Comes the Pain, UFC 2009 Undisputed and EA Sports UFC. 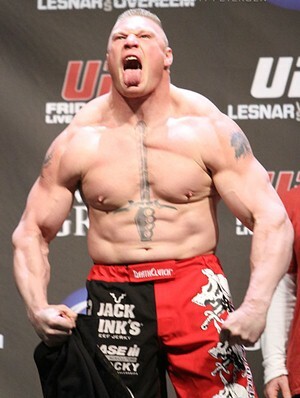 In fact, Brock Lesnar was the first man to appear on the cover of both UFC and WWE video game. As far as his personal life is concerned, Lesnar was engaged with Nicole and they have twins together named Mya Lynn (daughter) and Luke (Son) but they separated after a couple of years and afterward in 2006 he married to Rena Sable Mero and the couple has two children together. Listed below are the Brock Lesnar body measurements complete details including his weight, height, chest, waist, biceps and shoe size. Brock is a very good hunter. He is the only person ever to win NCAA, UFC and WWE championships. Lesnar is married to former WWE Diva Rena Marlette Lesnar better known as Sable. In 2014, Brock Lesnar became the first-ever wrestler to defeat The Undertaker at WrestleMania. One fight Brock vs roman….so exciting. no doubt lesnar is best in wwe so he call the best.. If brock lesnar is beast then a hunter is also there “roman reings”. Brock is best….i know but roman is heart beat of all peoples..
its scripted son. In reality brock can tear roman into peaces and roast him for breakfast. Broke Lesner has been the best at weaseling and at UFC. Broke is as good as I can reamber for as long as I can. Broke has always been the beast incarnate for as long as I been whitching Wwefor as long. Oh and Paul Haman did work for CM Punk as well and he did not tell Broke. The best ever in wwe…….. I Think That He is Not a Good Actor……. 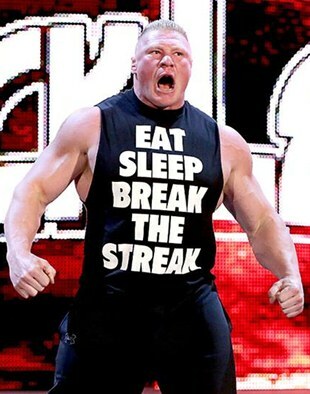 the brock lesnar is the toughest man in wwe , and no body can mess with him. no body can defeat him. U wrong too buddy, the only match for The Beast is Goldberg….Reins is a good wrestler but never a match for the Beast. BROCK no one can be like.